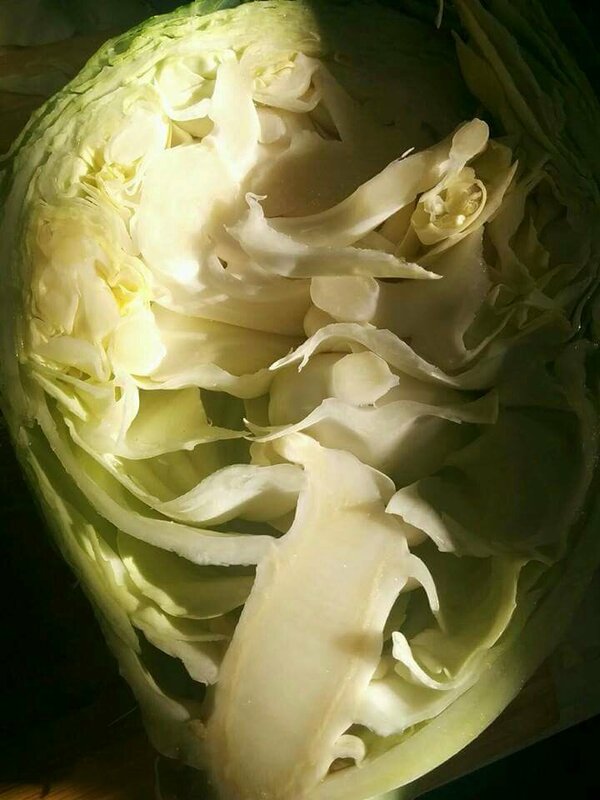 Sometimes a cabbage is a beautiful thing. This is from my neighbor’s garden. Sometimes I consider this blog as simply my personal cookbook – I always know where to find some of our family favorites, without having to search thru my cooking notebooks – which are simply school notebooks with scribbling’s of ingredients and MAYBE I actually remembered to put the quantities. Or maybe not. **Regarding the skirt steak, honestly I always use a London Broil cut, which is always cheaper than skirt steak any day of the week. And, if you can pick one up on sale, even better! Heat 2 tablespoons of the oil in a large skillet over high heat until hot; add the meat. Sear the steak on both sides, 4 to 6 minutes total for medium-rare. Transfer the meat to a platter, cover loosely with foil, and let rest while you cook the cabbage. Discard the fat in the skillet; heat the remaining 2 tablespoons oil in the same skillet over high heat until hot. Reduce the heat to medium and add the cabbage. Saute for 3 minutes or until the cabbage is crisp tender. Add the snow peas, red pepper flakes, and salt to taste. To serve, slice the steak thin, against the grain, at an angle. Add any juices from the platter to the soy sauce mixture and toss the meat with the sauce in a bowl. Arrange a mound of cabbage on four plates; top with the meat and sauce. **My changes: I marinate the meat in the soy sauce mixture. I place the meat and soy sauce mix in together in the morning. You can also do this the night before. I do not discard the soy sauce mix. Once the meat is cooked, and the cabbage is cooked, I add the marinade to the empty skillet to cook the marinade and remove whatever bichos are in the marinade. I then drizzle the cooked marinade- now a sauce- over the sliced steak and sauteed cabbage. All except the part to discard the fat. I’ll keep the fat. May not be exact but tasty.